Arden's. Experience the World of Art. Amanda Hoak has been a part of Arden's since birth, being the third generation to provide quality fine art and custom framing services to the Houston area. 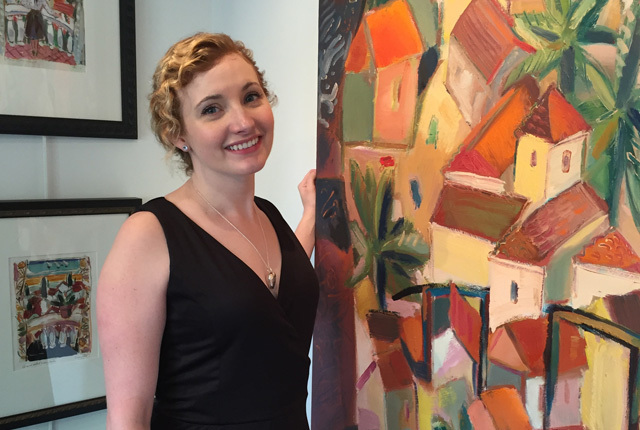 As gallery director, Amanda has a strong, personal commitment to art and to the family business. She brings her own touch to Arden's while honoring the legacy of her father and grandfather. "I have a passion to help people experience the world of art. I enjoy working with clients to create the perfect framing solution for their personal pieces. And I love helping people find art that has meaning for them, and that they will love and display proudly on their walls for generations to come." We invite you to come visit Arden's. Arden's also offers a wide variety of ready-made photo frames for you to celebrate and share special memories. We have different sizes and styles to fit your every need. 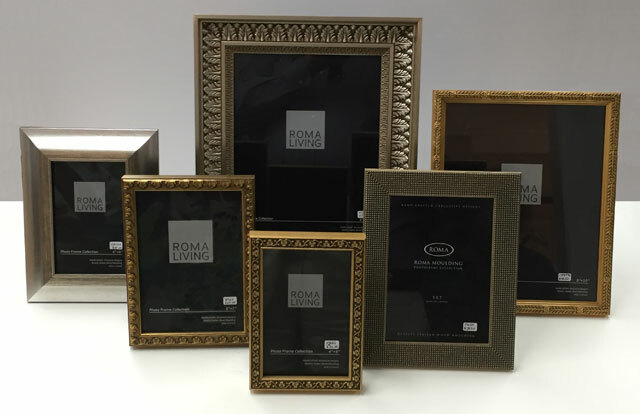 Shown above, these frames from Roma Moulding feature the quality, style and design that only master Italian artisans can deliver. They are available in many styles, from casual to classic and simple to ornate. All frame designs are available in the following sizes: 4 x 6, 5 x 7 and 8 x 10. We also offer silver frames, german enamel frames, italian mosaic frames and leather frames. Come by Arden's today to pick out the perfect frame for yourself or a quick gift for the next holiday or special occasion. "Arden's", "Arden's Gallery" & "Arden's Picture Framing"
are trademarks of Arden's Picture Framing, Inc.
All works and designs, copyright Arden's Gallery.